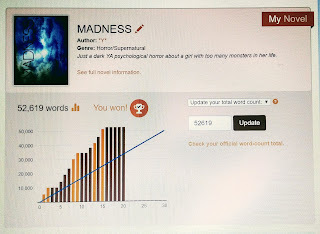 As I mentioned when I posted my Friday post, I actually finished my NaNoWriMo 2018 WIP last week. 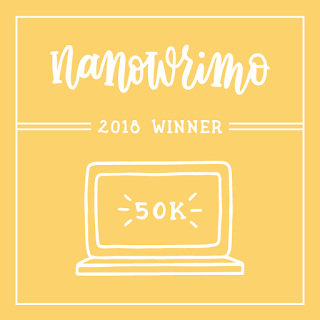 BUT today, I scrambled my document and validated the word count on the NaNo website. 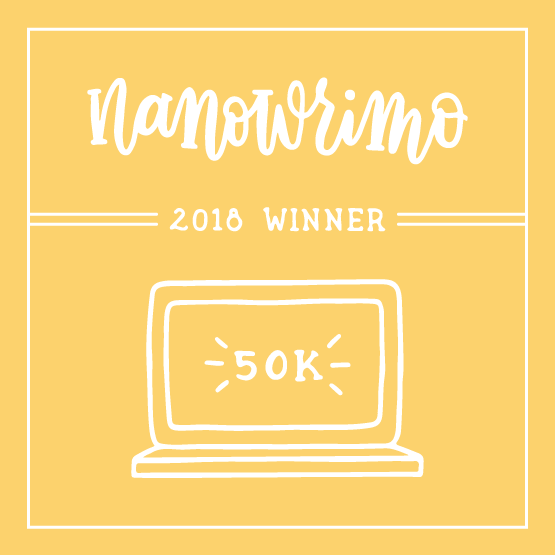 This was my 12th NaNoWriMo win, which is very cool. I'm super excited about how Madness turned out. It was another one of those ideas that I had in my head for months, but it wasn't until I actually sat down to take story notes that everything came together. And now, I have another completed first draft. Sure, it needs more work and I've already started a Revision List, but for now I'm happy to have the skeleton of this psychological horror outta my head and in a Word doc. Right now, I need to take a bit of a mental break. 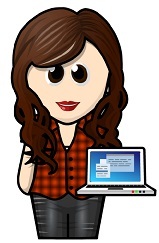 I need to read a bit, daydream about more ideas, and sort through my short stories.